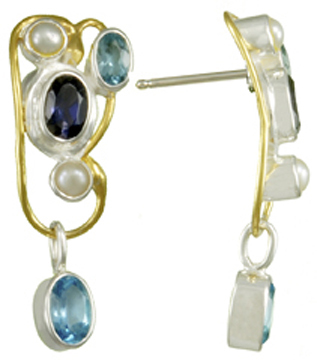 Constellation Collection Earring featuring Rainbow Moonstone, Rhodolite Garnet, Amethyst, Blue Topaz, Iolite, Freshwater Pearl, and Blue Agate set in Sterling Silver with 22kt Vermeil Accents. 100% Handmade. Free Gift Wrap. 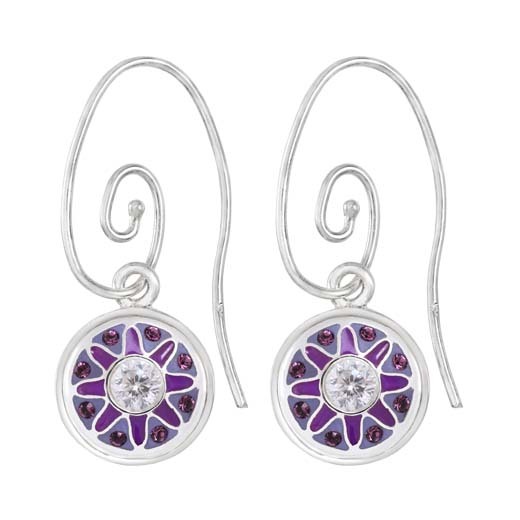 These earrings match the Constellation Bracelet, but are just one of many options available to compliment the bracelet. 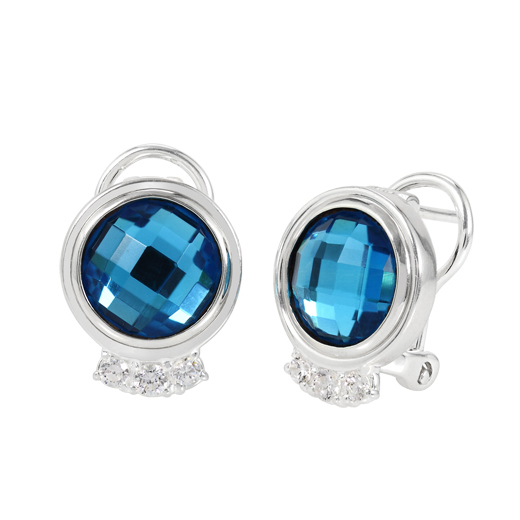 We love an earring that is larger in size, but doesn’t pull our ears. Comfortable, with enough movement to catch anyone’s attention. Art to Wear everyday, with every outfit. 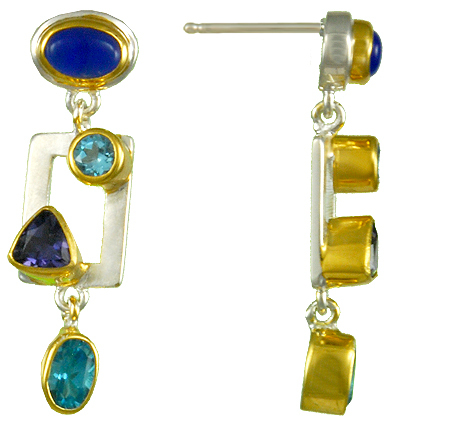 Perfect for day or night, this medium length dangle earrings are a great every day wear. Clean lines, and open space put the emphasis or the gemstones featured. Geometric design featuring Michou’s Pearlescent Satin Finish. Michou’s satin finish was created to resemble mother of pearl. The finish is applied by hand with a fine steel brush in order to create this rich finish. Michou raises the bar in vermeil jewelry by using 3 microns of gold for their vermeil; above the 2 micron standard for most vermeil pieces. You can wear your Michou jewelry with confidence. 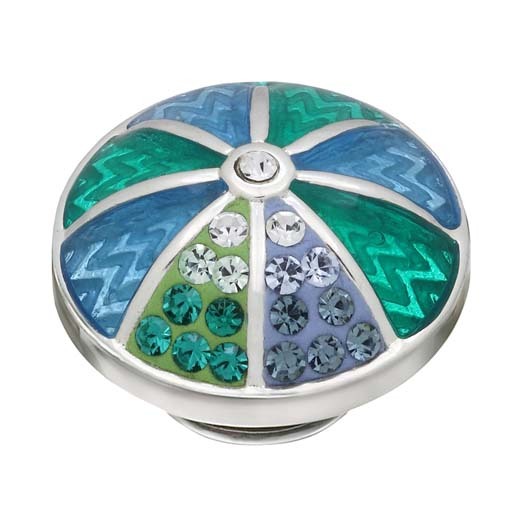 Perfect for anyone who enjoys vibrant color, and the flexibility of a bi-colored precious metal piece. Night has fallen and Michou’s Constellation collection plays host to an open sky sprinkled with sparkling gemstone stars mirroring the wheel of the heavens turning night into day and day into night.